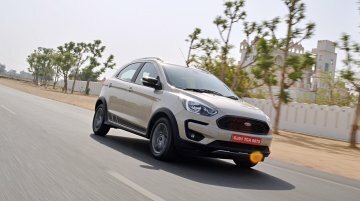 As per a report from trycarpal, the Ford Freestyle, which was launched in India on 26 April 2018, has reportedly received a Trend+ trim for the petrol engine variant. Reportedly, The new grade has an.. 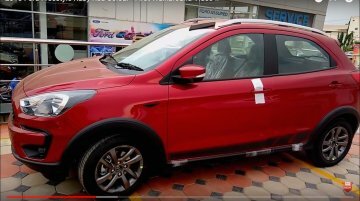 The Ford Freestyle, which was launched in India on 26 April 2018, is receiving a couple of minor updates with a new 'Ruby Red' exterior paint option. 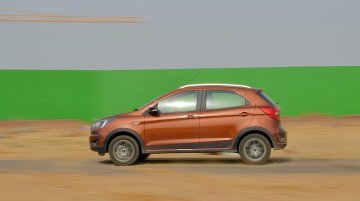 The Figo-based crossover will gain adjustable..
Overview I had a go in the Ford Freestyle petrol earlier this year in April before it went on sale. 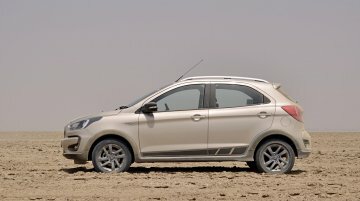 It impressed me with its ride and handling and the new 1.2 L 3 pot petrol motor. Despite the.. In April 2018, the Figo based crossover Ford Freestyle was launched. 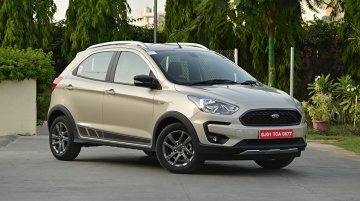 The CUV or Compact Utility Vehicle, as Ford calls it, has sold more units than fellow hatch based crossovers Hyundai i20 Active.. The production-ready Ford Ka FreeStyle (Ford Freestyle/Ford KA+) was officially unveiled in Brazil this week. 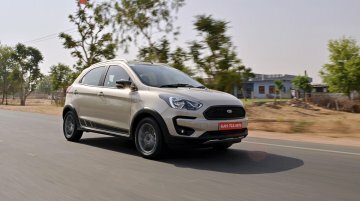 Ford has already sold 4,40,000 units of the new generation Ford Ka in the country, and the.. 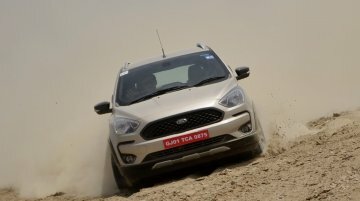 The Ford Freestyle has been launched in India at a starting price of INR 5.09 lakhs (ex-showroom Delhi). Dubbed as a CUV or Compact Utility Vehicle, the Freestyle is based on the Figo hatchback and.. 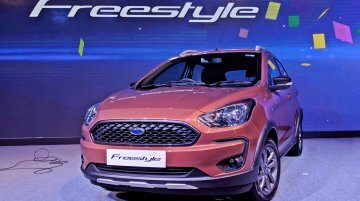 According to a report from earlier this month, Ford had planned to launch the Freestyle on April 18. 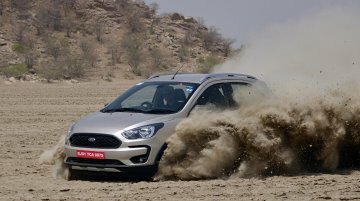 However, CarToq, citing dealership sources, says that the launch of the Ford Freestyle will now tak.. Unveiled on January 31, 2018, the Ford Freestyle is, as per a recent report, slated to go on sale on April 18. 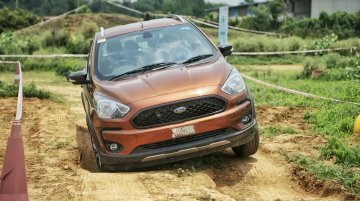 Interested buyers will be able to book a Ford Freestyle via Amazon April 14 onwards, the..
Overview The demand for SUVs and crossovers has seen an exponential rise over the past few years not just in India, but across the world. According to Ford, one in every four car buyers wants an.. According to a report published by Overdrive, the Ford Freestyle launch is scheduled on April 18. 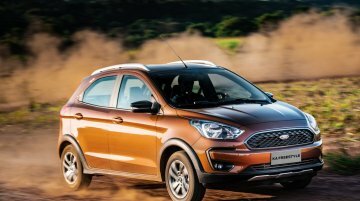 The CUV or Compact Utility Vehicle, as Ford likes to call it, made its global debut in India in..
Ford unveiled the Figo-based crossover in January 2018. The Ford Freestyle is set to go on sale this month. Ahead of its launch, the company has released the product brochure which details.. 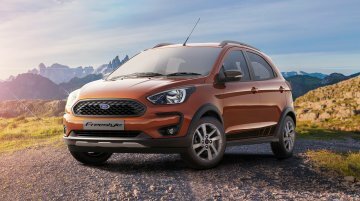 The launch of the Ford Freestyle crossover in India is slated this month. 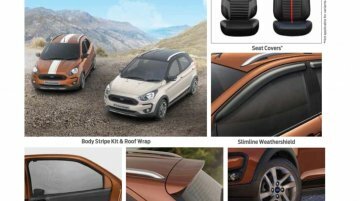 Ahead of the price announcement, its brochure has been released detailing the Ford Freestyle specifications, variant wise.. The new Ford Freestyle has been spotted yet again ahead of its showroom launch in April. 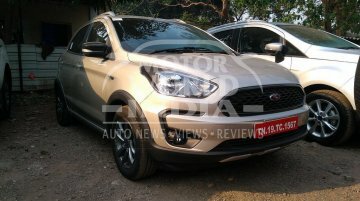 The CUV, as Ford terms it, made its global debut in India in January 2018 and will be Ford's second product in.. 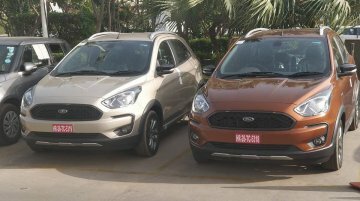 The Ford Freestyle has started touching dealerships yards as evident from images shared by Motor World India. 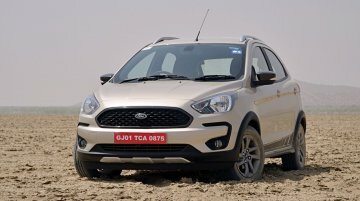 The Figo based crossover was unveiled in India in January and is expected to go on sale..
Ford has unveiled its new compact utility vehicle for the Indian and South American markets. 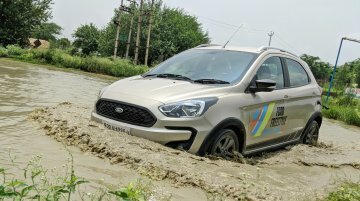 The product has been christened Ford Freestyle and will be going on sale in the second quarter of 2018. The..